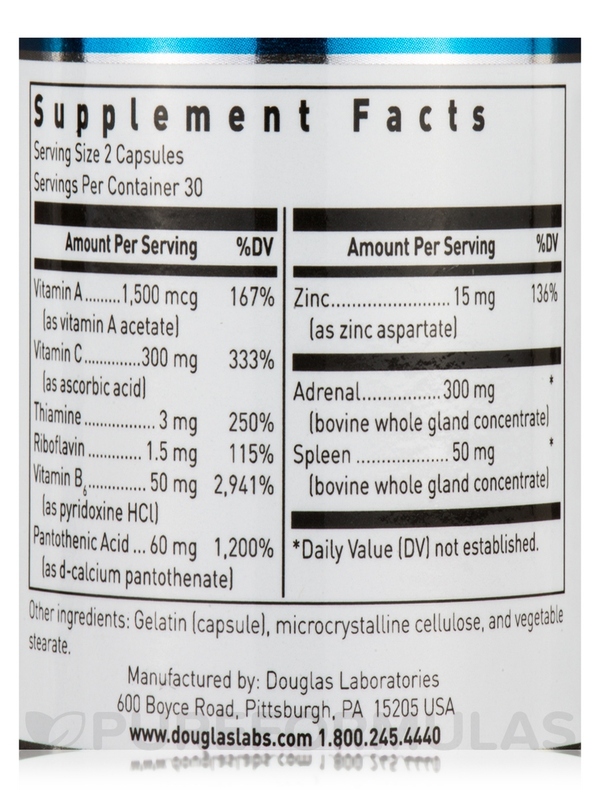 I love Adrenplus 300 by Douglas Laboratories and I got a great deal with PureFormulas and they shipped it very fast and it was free shipping which is always a plus! Thanks! You’re no stranger to a high-stress lifestyle and it’s important to make sure it doesn’t affect your health. 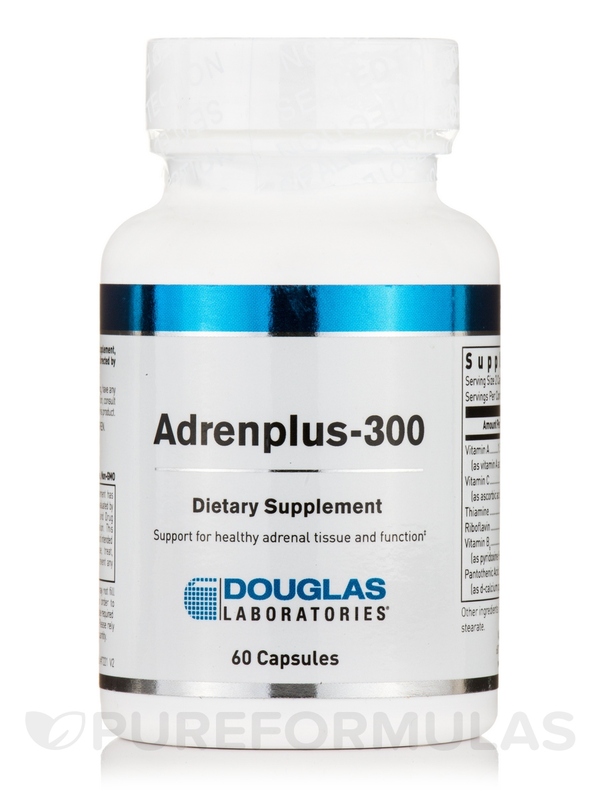 Douglas Labs’ Adren-Plus 300 Capsules provide a comprehensive formulation of minerals‚ vitamins‚ and other nutrients that can potentially regulate adrenal health for stress management. 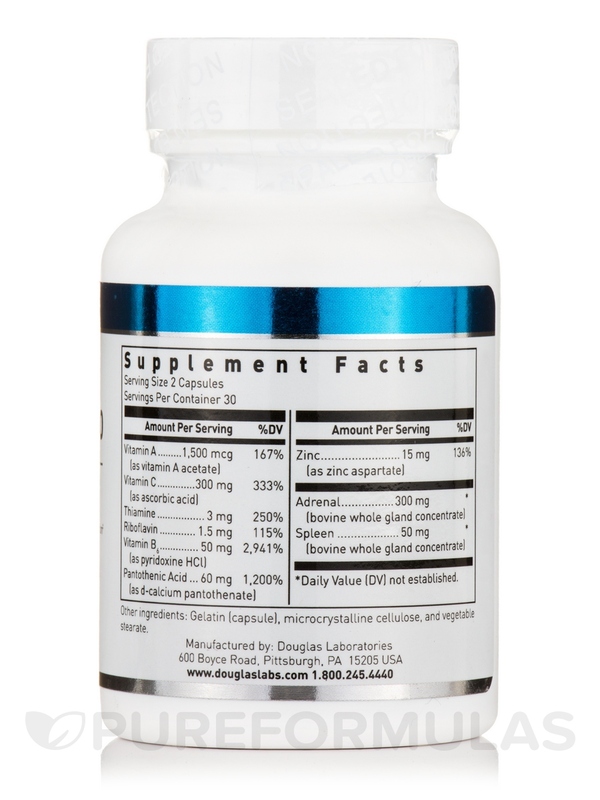 Douglas Labs’ Adren-Plus 300 Capsules contain B-vitamins that are important for energy production and the synthesis of metabolic enzymes. Thiamin and riboflavin are two examples that have been included in this formula. Vitamin B-6 is needed for the synthesis of several neurotransmitters. This includes serotonin‚ epinephrine‚ and norepinephrine. These neurotransmitters need to be maintained and are important for mood and stress regulation. A 300 mg component of adrenal concentrate may potentially strengthen adrenal glands‚ promote relaxation‚ and reduce fatigue. Included servings of zinc may potentially improve immune functions that can sometimes degrade under stress. 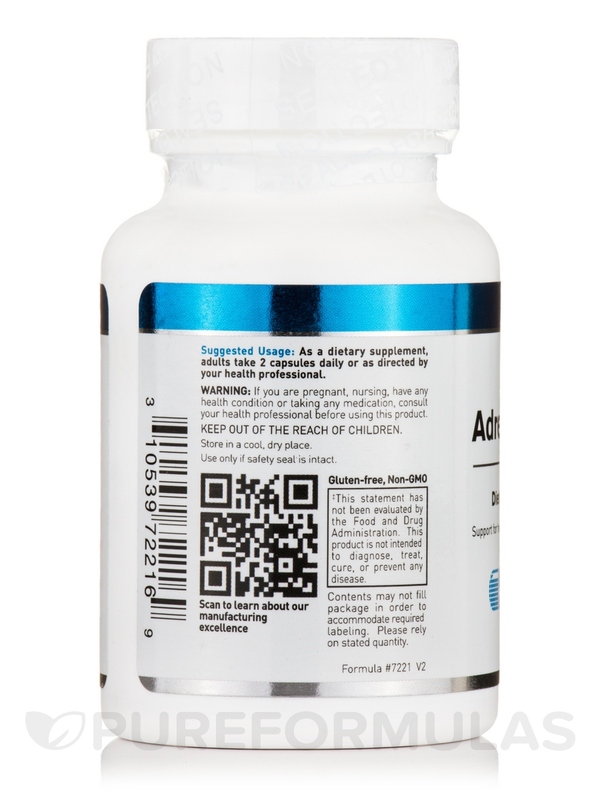 Douglas Labs’ Adren-Plus 300 Capsules contain no artificial additives and are free from gluten‚ soy‚ corn‚ dairy‚ sodium‚ starches‚ and sugars. Don’t let stress affect your health and order today! PureFormulas offers free shipping on all orders! Use a different brand wanted to change. Havent used it long enough to see any difference. how does this work if you have allergies? Hello, thank you for contacting PureFormulas. 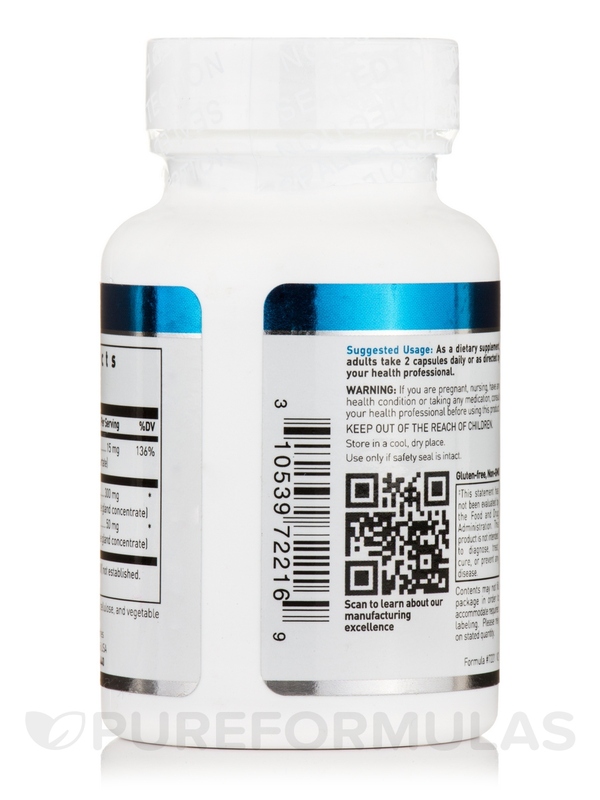 Dosage indicate as a dietary supplement, adults take 1 to 2 capsules twice daily or as directed by your healthcare professional.